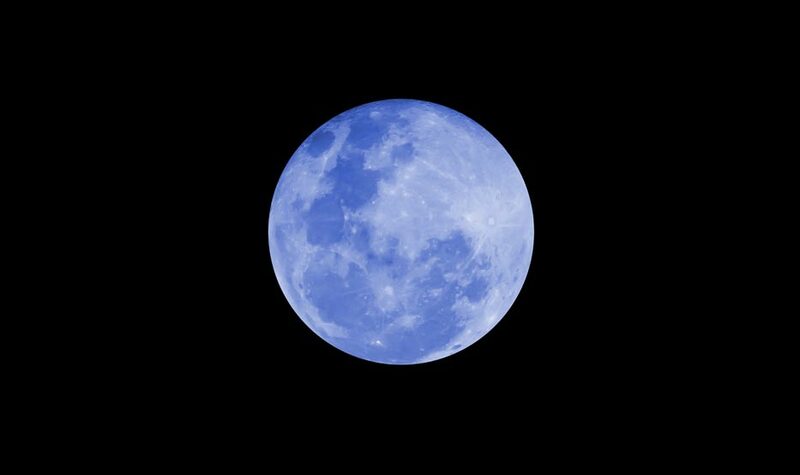 Today, Friday July 31st, most of the world will be able to observe a “Blue Moon”. It is a rare occurrence in the moon cycle that has nothing to do with its color. Commonly, the Earth experiences in one year, 12 full moons (one for each month). However, some years like 2015, have 13 full moons. When a single calendar month has two full moons instead of just one, it is known as “Blue Moon”. This is going to happen this month: July had its first full moon on the 2nd and will have another on the 31st. When a single calendar month has two full moons instead of just one, it is known as “Blue Moon”. A Blue Moon occurs because the synodic or lunar month, lengthened from full moon-to-full moon, has an average of 29.530589 days. It is shorter than every calendar month, except from February. The extra days accumulated over the years, result in other years experiencing 13 full moons, instead of the regular 12. To understand it clearer, the following is a list of full-moon dates from the current year: Jan. 5, Feb. 3, March 5, April 4, May 4, June 2, July 2, July 31, Aug. 29, Sept. 28, Oct. 27, Nov. 25 and Dec. 25. In 2016, the first full moon will happen on Jan. 23, and each calendar month will only one full moon. Perhaps you have used many times the expression “once in a blue moon” when a situation happens rarely. Nevertheless, the name “Blue Moon” was used to describe something very different. Normally, a season lasts three months, and each three months should have only three full moons. When there was a fourth full moon instead, the third one was labeled that way. But, in 1946, the magazine Sky & Telescope published an article that misunderstood the older definition. They exposed that a Blue Moon is the second full moon that happens in one calendar month, becoming the most accepted definition. This is why the full moon on this Friday is called that way, not because it will be actually blue. The event occurs once every 2.7 to 3 years. So, don’t be expecting to see today Friday actually a bluish moon. Remember, this is a label use to describe a phenomenon in the lunar cycle.